Last weekend, I fell back into After Everything Now This, my favorite album by The Church. The band had started falling into the usual trap of recording covers and endless jams, and After Everything Now This marked a return to songwriting. While it’s not necessarily the band’s best or most historically important record, it was the first album by The Church that I bought on its release day. The riffs (especially on this almost-title cut) bring back that warm feeling of basking in the summer sun in my Ford Aspire and impatiently waiting for the air conditioning to finally get cool. Guess I could say more, but why don’t you just listen to the song for yourself? 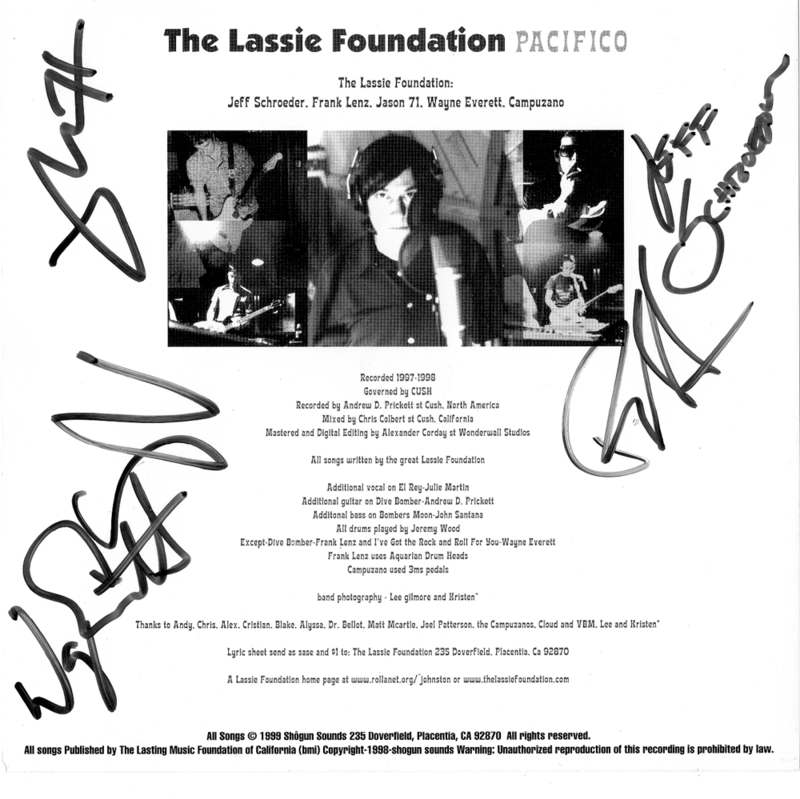 Thinking about The Lassie Foundation, I reflect equally on its mind-blowing output during my formable college listening years as well as all the bands it referenced in its playing (that I would, in turn, get hip to). In retrospect, I was bound to be smitten by The Lassie Foundation’s work. The band was a collective of guys from Starflyer 59, Fold Zandura and The Violet Burning…three of my favorite bands at the time. But The Lassie Foundation was totally different than those bands; it had a cool, surfy, California vibe. Enjoy, and remember, enlightenment is its own reward.